Pecos is a village in San Miguel County, New Mexico, United States.The village is built along the Pecos River which flows from the north out of the Santa Fe National Forest. Notable locations nearby include Pecos National Historical Park, Glorieta Pass, Pecos Benedictine Monastery, and Lisboa Springs Trout Hatchery. It is also an entry point for hunting, fishing, hiking and camping in the Pecos Wilderness. 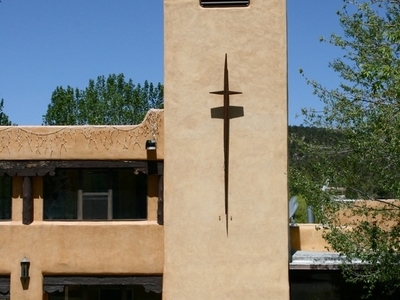 The closest metropolitan area is the Santa Fe metropolitan area, approximately twenty miles to the west. Here's the our members favorite photos of "Towns & Villages near Glorieta". Upload your photo of Pecos!